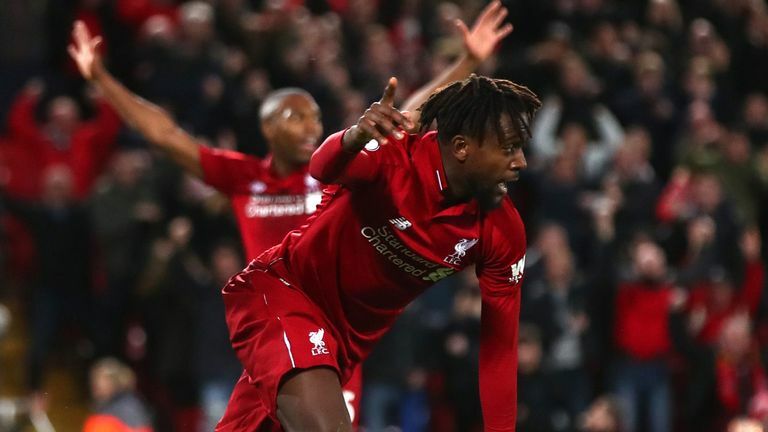 The England international's mishandling of Virgil van Dijk's sliced shot, keeping it in play when it seemed destined to land on the roof of the net, handed Divock Origi the chance nod a dramatic winner home at Anfield on Sunday. 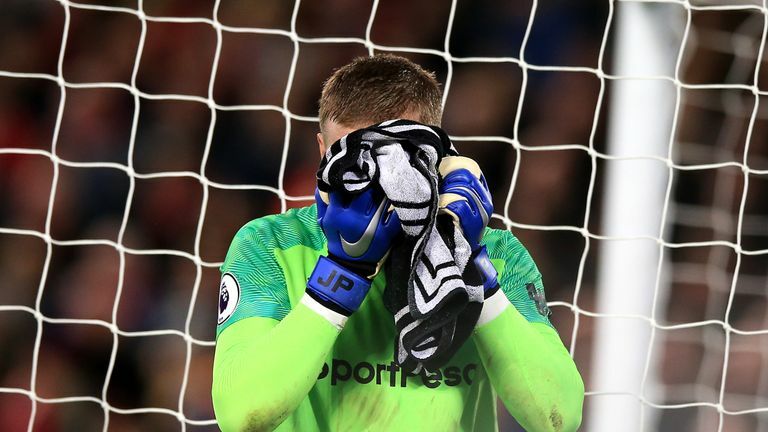 "First and foremost, not only is Jordan a great keeper, he's a top bloke as well and a really good friend," he told Sky Sports News. "He didn't have to say anything in the dressing room afterwards, he's saved us on many occasions. "Errors can happen all over the field at any time, you need only look at last night where he saved us on a few occasions. He's a real leader and one of the best keepers in this league." The Colombia international jokingly added: "If there weren't errors on the field, every match would end 0-0!" Everton's positive performance against Liverpool had the Toffees dreaming of a first win at Anfield since 1999. On-loan Barcelona midfielder Andre Gomes won the man-of-the-match award after another impressive display, which he followed up with another strong performance in the midweek draw with Newcastle. Gomes' seamless adaptation to life on Merseyside has prompted call that his loan deal should be made permanent, an idea that Mina, who played with at Barca, supports. "Every day, I'm at him every day," he said. "I've basically told him the coach is happy with us and we're happy with the coach, who is working hard to improve us as players on the training field. "We can bring our little grain of sand here to help Everton do well. We are here to win stuff, this is a massive project that we are part of. "I tell him that he is very happy and that I am happy that he is here. So, come on Andre, mate, make sure you stay!"